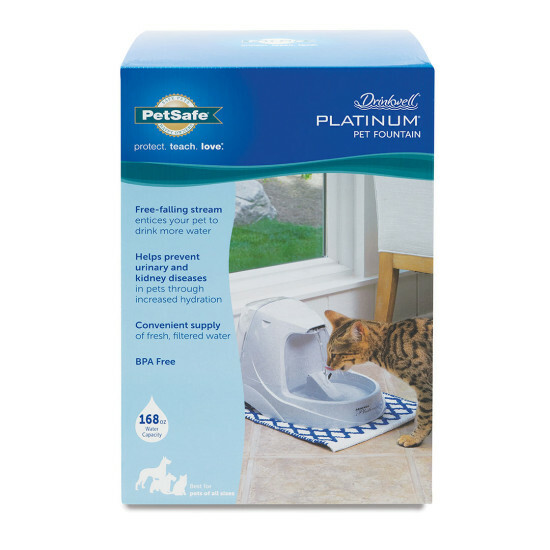 The Drinkwell Platinum Pet Fountain gives your pet 168 ounces of fresh, filtered water. 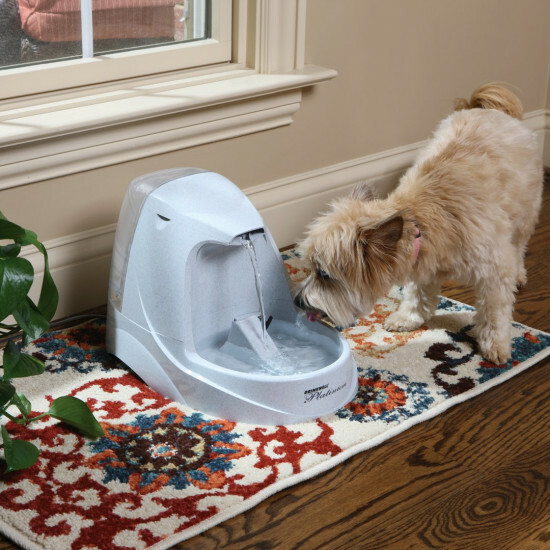 The free-falling stream of water entices your pet to drink more. 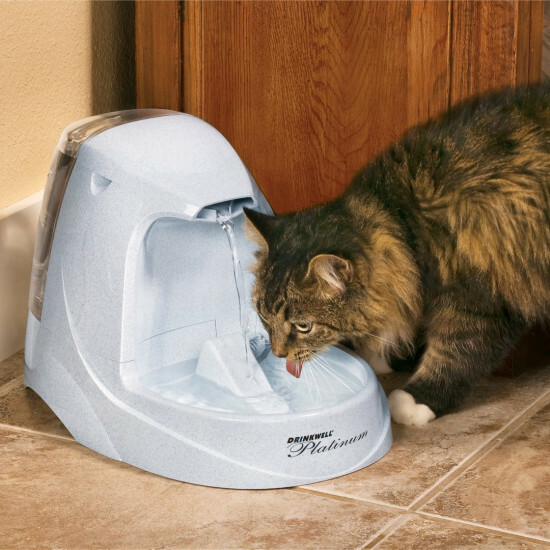 the activated carbon filter removes bad tastes and odors, giving your pet the best way to stay hydrated. The built-in reservoir increases capacity and makes refills easy. 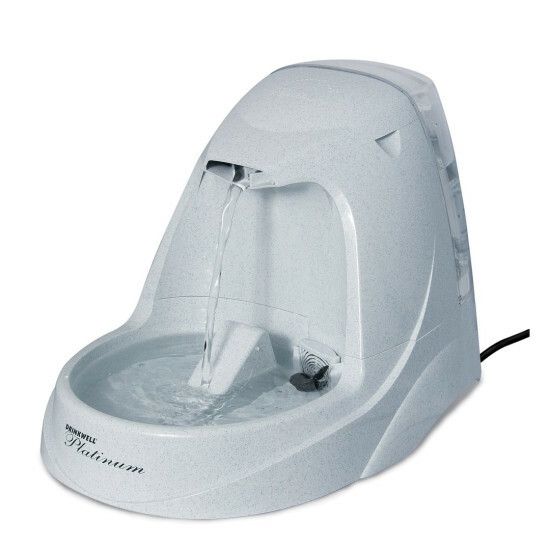 The snap-on reservoir lid and rubber feet on the bottom of the fountain prevent sliding and tipping.